Website Creation Essentials - What Do You Need? You can create many different types of websites, so I thought I'd outline what you need to do, depending on the kind of site you desire. However, before you begin, just understand that no matter what type of site you want to build, you need a domain name and a web host. You can get both from Website Palace. As far as building goes, you can use WordPress for almost any kind of website. 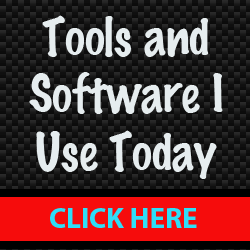 The key is to install the proper plugins to make the site function like you want it to. So for example, if you want to sell products from your site, you could sign up with Shopify to manage orders and use their compatible WordPress plugin to embed the "store functionality" on your pages. A plugin is simply a script that adds on to WordPress and you install it right from the dashboard in seconds. 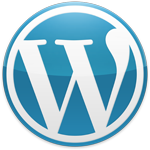 WordPress comes free with any of the web hosting plans at Website Palace. You just install it once you activate your account. It takes seconds. No programming or any kind of web design experience is needed. As you'll see in the video below, the template designs come with WordPress, so you simply choose the one you want. Here's a video that shows you how to use WordPress. It's long, but worth the watch because it will give you a crash course and you'll discover it's pretty easy to use! Back in the day, this was the option most people chose because WordPress didn't exist. A static website means the files are loaded "as is" on the web server. Compare that to a WordPress site where it grabs content from a database (comments, categories, etc.). So if you just want a very basic website with no comments or additional functionality then you would choose this option. The advantage of using a static website is that they are clean, load quickly and pretty secure. The downside is if you want to add commenting options, shopping carts, or other advanced functionality, it can be challenging for the average user. Nevertheless, if you need a very basic website, this is still a valid option. Here's a tutorial on building a static HTML site here. By definition, a blog is a site where the content is primarily arranged by category and date. Now, blogs don't have to be arranged that way. They are just setup like that by default. You can actually organize them more by content like this static website just by changing up the menus. I discuss this in more detail in my WordPress Starter Guide. All Website Palace customers receive this for free on the order confirmation page. This is a website that sells some kind of product, so you will need to be able to accept payments and possibly have some kind of shopping cart. WordPress has plugins that you can install that give your site more functionality. So if you want to sell products, you would simply just search for a plugin within WordPress to accomplish what you want to do. Plugins are easy to install. You do it right from the WordPress admin panel as explained in the video above. So let's say you wanted a shopping cart, you could install this plugin, integrate it with a PayPal account and you're ready to begin taking orders! Just like that. Shopify is also another very popular ecommerce solution. If you want to create a website that has some kind of membership or user interaction/uploads/downloads, then you might want to consider Joomla. Just like WordPress, you can install this right from your hosting control panel. Joomla is a lot more complex to use than WordPress, in my opinion. Yes, it's more powerful than WordPress, but I didn't find it to be as user-friendly. If I were starting a membership site, I would use WordPress and search for plugins that accomplish what I need. Here's one right here. Plugins have evolved so much in the past few years, that more people are using WordPress for almost any kind of website these days. 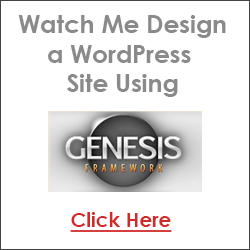 What I hope you understand is that you can use WordPress to create almost any kind of site you wish. The key is in the plugins. You can do a Google search for almost any type of plugin you wish and install it. What's even better is that most of them are free! Say you want to sell advertising from your site, you could install a plugin like Kamoona that will allow you to manage the advertising. Or maybe you want to add some social networking buttons/icons to your website. There's tons of plugins for that as well. Again, it's just about searching for what you want to do and once you learn the basics of WordPress then your options are endless! Don't Want to Pay for Your Website? So many people come here looking for a free website. I can tell you that I've been burned pretty badly by free hosts in the past and it's why I never recommend them. First of all, the site is not yours. You are renting it from another company. So they can remove your site at any time. Two days ago I received an email from a guy who needed my help because his site was suddenly removed from Blogger. There was nothing he or I could do. When you don't pay for your site, you have no control over what can happen to it. Not to mention, free hosts look unprofessional and you are limited to what you can do. For example, you cannot install plugins on Blogger like you can on a WordPress site. So it's difficult to integrate any other kind of functionality. And if you're thinking of starting free and moving, that's not a good idea either. Why? Because quite honestly, moving a website is a pain in the you-know-what. It's better to create it right from the start, and with hosting being as cheap as it is (compared to what it used to be), it's worth investing in your site. Read more articles about making money online here.